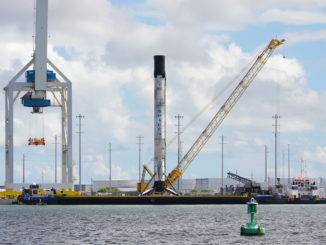 SpaceX brought another Falcon 9 booster into Port Canaveral on Wednesday, a little more than two days after landing the rocket on a platform in the Atlantic Ocean as the company enters an unusually quiescent period of launch activity in Florida — at least by recent standards. 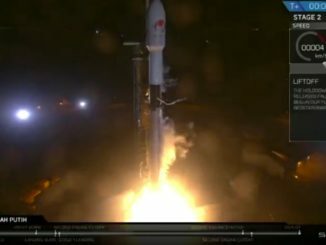 SpaceX launched its 16th mission of the year early Monday, lighting up a nighttime sky with a Falcon 9 rocket to deliver a Canadian-owned commercial communications satellite to orbit. 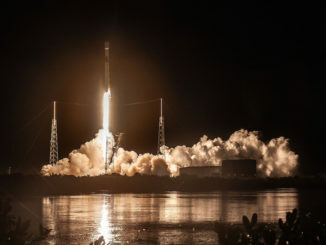 For the second time in seven weeks, SpaceX, Telesat and SSL teamed up for a commercial satellite launch from Cape Canaveral early Monday, this time successfully deploying into orbit a high-power telecom payload developed in a joint venture with a Hong Kong-based company. 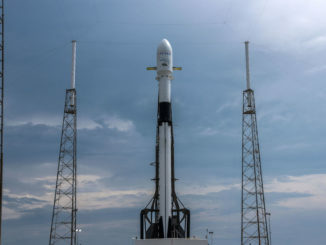 SpaceX’s Falcon 9 rocket is set for liftoff from Cape Canaveral on Monday, heading due east over the Atlantic Ocean to deliver the Telstar 18 VANTAGE communications satellite into orbit around 32 minutes later. 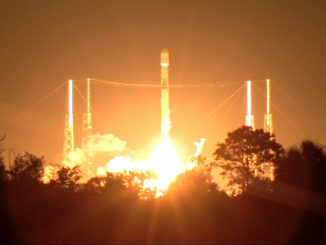 A high-throughput communications satellite developed as a joint venture between Telesat and APT Satellite lifted off on top of a SpaceX Falcon 9 rocket at 12:45 a.m. EDT (0445 GMT) Monday from Cape Canaveral, following a delay to wait for storms to clear the Florida spaceport. 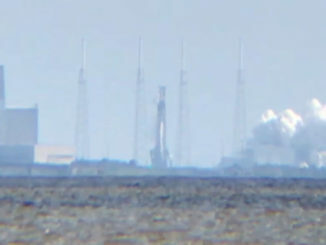 A commercial communications satellite set for launch from Florida’s Space Coast on a SpaceX Falcon 9 rocket to beam broadband and television signals across the Asia-Pacific region will remain on Earth until at least Sunday night, 24 hours later than previously scheduled. 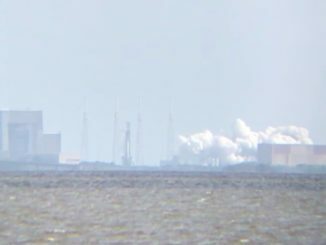 SpaceX test fires a Falcon 9 rocket in readiness for its planned 8 September 2018 launch carrying the Telstar 18 VANTAGE communications satellite. 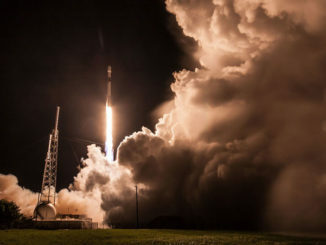 A Falcon 9 rocket booster which first flew in May took off for the second time Tuesday from Cape Canaveral carrying the Indonesian Merah Putih communications satellite. 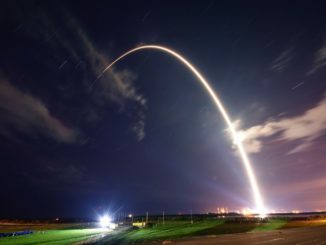 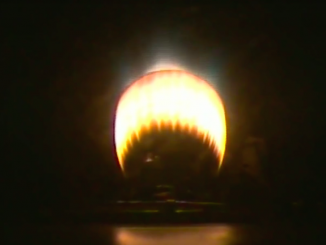 Keeping up a run of middle-of-the-night launches from Cape Canaveral, a SpaceX Falcon 9 rocket powered by a recycled first stage booster climbed into orbit early Tuesday with the Indonesian Merah Putih communications satellite.